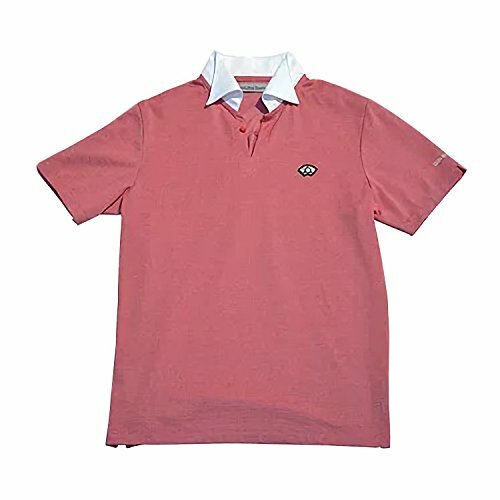 Japanese Mino Washi Paper Polo Shirt Made in Gifu, Japan, Red Color, L. Made of special fabric yarning Mino Washi paper,polyester, and cotton. Has sweat-absorbing rapid dry properties and a good skin touch like twine. The color of the collar is based on the image of Jinbaori (sleeveless campaign jacket worn over armor) of Nobunaga Oda. Suitable wear for everyday, working, or sports. Enclose the Gifu prefecture, Japan-issued certificate that proves this is a product of Japan. Made of special fabric yarning Mino Washi paper,polyester, and cotton. Has sweat-absorbing rapid dry properties and a good skin touch like twine. The color of the collar is based on the image of Jinbaori (sleeveless campaign jacket worn over armor) of Nobunaga Oda. Suitable wear for everyday, working, or sports. Enclose the Gifu prefecture, Japan-issued certificate that proves this is a product of Japan. If you have any questions about this product by Gifu Shirt, contact us by completing and submitting the form below. If you are looking for a specif part number, please include it with your message.